And something seems to be missing. It would be great if the page could be elaborated to explain what to do in this case. In particular, take a look at the following instructions. 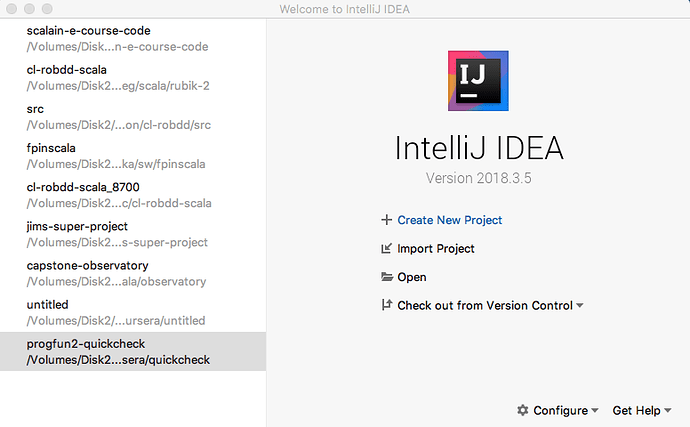 So I Open up IntelliJ and select “Create New Project” on the IntelliJ Popup form. 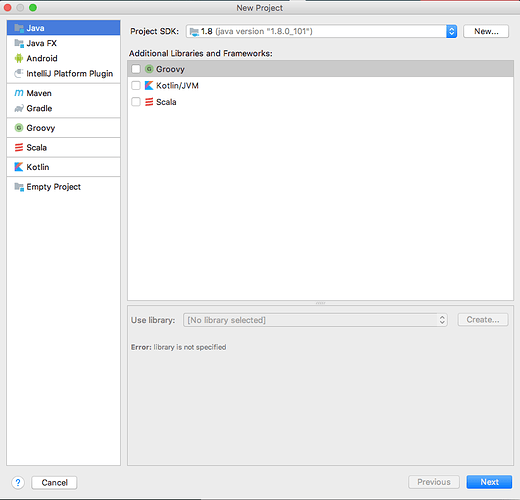 This indeed pops up a form, but is missing any sbt option as predicted by the instructions. It would be really helpful if someone could update this documentation page to explain what to do in this situation. Oh, I see after reading the page 9 times, on the 10th time I see that I was misreading it. I need to Select “Scala” on the right-hand pane, and THEN “sbt” will appear on the left-hand pane, and I can select that. OK, it was my fault for misreading the instructions. I’m happy to remove/inactive this question from the forum, but I don’t see an option to do that.